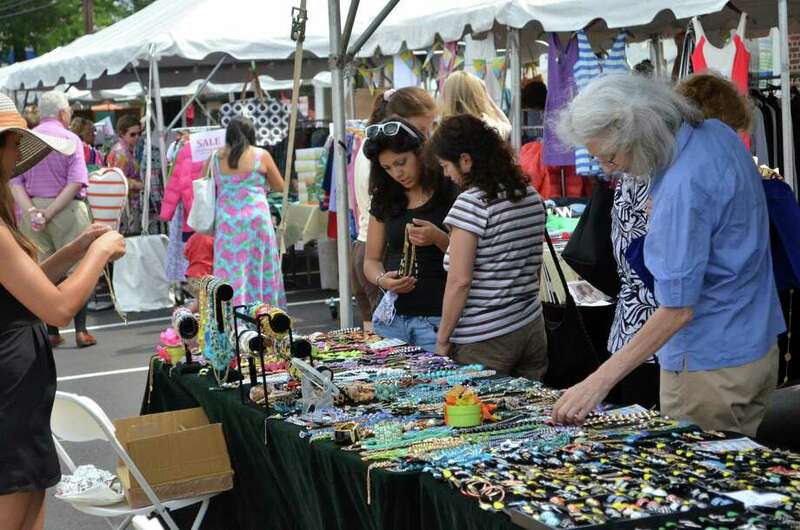 The Darien Sidewalk Sales and Family Fun Days will run from July 9-11, 2015. Face-painting artist Fun Ela has become a popular fixture for kids inside the Darien Toy Box during the downtown’s annual sidewalk sales. “The kids always love face painting and she does an absolutely fantastic job painting whatever they want,” store owner Bill Jensen said. After retiring from the oil industry seven years ago, Jensen opened the toy store at 1064 Post Road and differentiates himself from larger rivals by selling an inventory of less commonly available items from Britain’s LTD miniatures to up-and-coming smart toys and games. Merchants are planning a feast of food options, kid’s activities and discounts for Darien’s Annual Sidewalk Sales Family Fun Days to be held Thursday, July 9, through July 11. Shoppers looking for bargains can browse through tents set up along the Post Road in the Goodwives Shopping Center and in Noroton Heights. Erica Jensen, co-chair of the Darien Family Fun Sidewalk Sales Days and the owner of Helen Ainson at 1078 Post Road, said the event will be a chance to sell spring and summer merchandise to make way for new clothes. The sales days probably translates into 300 or 400 shoppers walking past businesses each of the three days, about six to eight times the typical amount, she said. Attendance has expanded dramatically since the late 1980s, partly because of the addition of food sales and more community instead of commercially oriented activities involving first responders and health agencies.